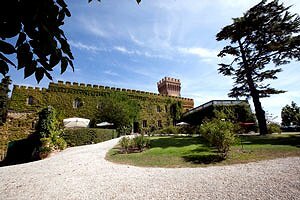 Florenceholidays.com offers a wide selection of holiday villas and castles for rent in the Chianti district and in Tuscany - country villas, Medieval castles in dominant position, luxury apartments in castles, elegant villas with swimming pool and farm holiday apartments. Situated in the heart of Tuscany, the Chianti district is one the most renowned Tuscan touristic destinations. For decades, Chianti has been a sort of English domain - in fact, the British call it "Chiantishire". 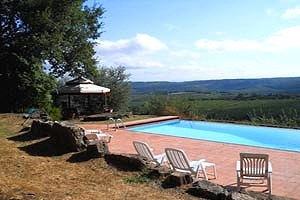 The Chianti hills are the ideal destination for a relaxing holiday in contact with nature. 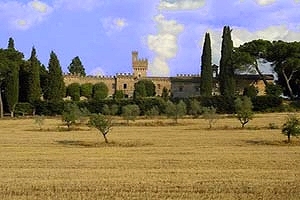 Renting a castle in Chianti is the ideal solution for visiting this wonderful area and its gentle hills. 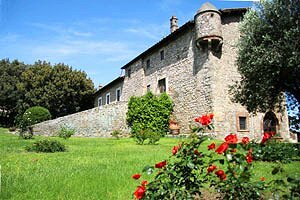 Find the accommodation for your next holidays in Chianti among the castles in Chianti we have selected for you. Apartment sleeping 5+2 in the tower of an 11th-century castle in Sienese Chianti, near Gaiole in Chianti. Swimming pool, air conditioning, Internet connection, utmost privacy. Riding stable and tennis club in the neighbourhoods.